The way you say “thank you” to donors could be the most important communication pieces you have as a nonprofit organization. Unfortunately, many nonprofits send “thank you” communications that read more like a formal tax receipt then a heartfelt felt note of appreciation that motivates the donor to want to have a relationship with the organization. A recent study showed that 80% of donors want a “thank you” in order to give a second gift. However, 65% of donors don’t ever make a second gift. There is obviously a breakdown between how donors perceive our “thank you” communications and how we’re actually performing. How we thank donors has a direct effect on the formation of an on-going relationship with the donor. If we aren’t able to form that relationship, we simply aren’t going to receive that second gift. The cost of acquiring donors is very high for most organizations. The average length of time that it takes for an acquisition mailing to become profitable is 18 to 24 months. We have this very high acquisition investment to acquire more donors than we lose, at the same time we’re not properly thanking donors so they don’t stay. What if you had a great “thank you” process in place for donors? What if you’re able to get more second gifts, to build deeper relationships with donors, AND to acquire more donors with acquisition mailings that become profitable quicker? We were able to do that at Food for the Hungry, turning our acquisition mailings profitable in less than 12 months. How would the health of your donor file look with a robust and sincere process of expressing gratitude to your donors? It’s much cheaper to build a relationship with an existing donor than to acquire a new one. In fact, this a key to healthy nonprofit fundraising. Let’s explore how we do that. You should be timely with your thanks. It’s quick and easy to send an email thanking an online donor, but we’re looking to wow the donor so he feels better about the donation after it happens than he did when he made the donation. I’ve received thank you letters from organizations more than 4 weeks after the donation. In one case, I received my receipt from an online donation – an email receipt – ten days after my donation! Be timely with your thank you – make sure it is sent to the donor as close to the donation as possible. Explain the impact of the donation. Tell the donor a story of how the donation made a difference in the life of a beneficiary. The story of impact not only shows the donor how their donation is being used but also reinforces that your organization is efficient and effective. Donors want to know that when they want to make an impact in a certain area that your organization can be trusted. Make sure your communications focuses on clarity: tell the donor clearly and plainly the impact she made. The donor should feel truly appreciated by the organization for the gift. However you thank the donor, illustrating how much you appreciate the donor will strengthen the relationship (however budding) and move the donor down the path to becoming a long-term supporter. Be cautious: you can be over the top in your appreciation in a way that turns off the donor and he goes from feeling appreciated to feeling like you’re being cheesy or laying it on too thick. Find the right balance. When you create a thank you that is timely, explains the impact the donor made, and makes the donor feel truly appreciated, then you’re created something relevant and meaningful to the donor. The heartfelt thank you should be custom and specific to the donation, not a boiler plate message. When you use the same “thank you” messaging for all donations, donors can sense that it’s a form letter and you’ll lose the impact of the thanks. Personalize the thank you note to the original appeal so the donor will truly know the organization appreciated his gift. You should spend as much time crafting the “thank you” note as you do the original appeal – in fact, I recommend writing the thank you note at the same time as the appeal so you can match language and flow. This continuity lends to the impact of the messaging on the donor. This bit of advice will have a dramatic effect on your donor communications if implemented throughout your donor facing correspondence. The content of your thank you letter, in fact each piece you send out, should position the donor as the hero in the story. This is likely the hardest thing for general nonprofit staff to grasp as the people doing the work are often positioned as the hero, or the organization is positioned as the hero, but the donor is the true hero to your organization. Without the donation, none of what you do will happen. Even more importantly, positioning the donor as the hero will allow him to see the organization as the tool by which he is able to accomplish good. This is simpler than you think: look through your thank you note and count how many times you use “we” or “I.” Now count how many times you use “you” or “your.” You should use “you” and “your” as the primary tool to communicate in the letter instead of “we” or “I.” You want to position the communication from the donor’s point of view, not the organization’s. For example, instead of saying We fed 1,100 families this Thanksgiving, you could say, Your donation, along with other donors like you, fed 1,100 families this Thanksgiving. The difference involves the donor in the work. Giving the donor credit is a powerful way to strengthen the donor relationship. Instead of a form letter or a “thank you” email, send a handwritten note. In today’s digital and cookie cutter environment, personalizing and handwriting a note to the donor will demonstrate you care. This is a great activity for board members or volunteers. You should provide sample copy for what you want the thank you note to read, keeping in mind the effective techniques of positioning the donor as the hero, sending timely, demonstrating impact, and making the donor feel truly appreciated. Another custom way to say thank you that will have a big impact on the donor is to send a custom thank you video message. A custom video message is exactly that, you will record a thank you video for each person who donates. For larger organizations, this may be reserved for major or mid-level donors or continuity donors. The script for the thank you video doesn’t have to be lengthy, instead it’s important in the first few seconds to acknowledge the donor by name, acknowledge and thank the specific gift, and then explain what impact the donor will have. Demonstrate gratitude in your video and also tell the donor next steps if there are any. Demonstrate your gratitude by calling and thanking the donor. The phone is still a personal way of communication and helps build authenticity with the donor when she is called from a live person from your organization. The phone call provides a way to thank the donor and allow the donor to ask questions about the organization. If you’re raising money for a project or a specific campaign, take photos from inception to completion and create a photo book for the donors. The photo book contains photos from throughout the project and really connects the donor to the work that he helped fund. At the anniversary of a donor’s first gift to your organization, send an anniversary card celebrating the donor. This is a way to demonstrate loyalty to donors and that you’re paying attention to the relationship. This is a key way many organizations move donors to that second gift if they were previously a “one-and-done” donor. You can have a member of the board, a volunteer, or the Executive Director sign the anniversary card. Invite the donor to tour your offices. This personal touch helps endear donors to your organization by introducing them to the real live people who are doing the day to day work the donor makes possible. Giving an office tour often results in connections you weren’t expecting. For example, we’ve performed office tours that have resulted in corporate donor relationships, free press, and connections to influencers. These unexpected outcomes were a result of connecting the right person to the mission and having him volunteer an introduction that we would likely have never had. 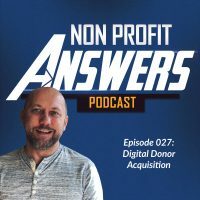 You never know what happens when you help a donor connect to the cause and meet people within your nonprofit. 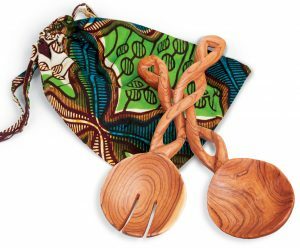 If your work has artisan beneficiaries or you have a work program that produces products, create a custom “thank you” gift for donors. When you send a thank you gift to donors, you don’t want it to be too elaborate as the donor may feel like you’re spending her donation on the gift instead of the work. 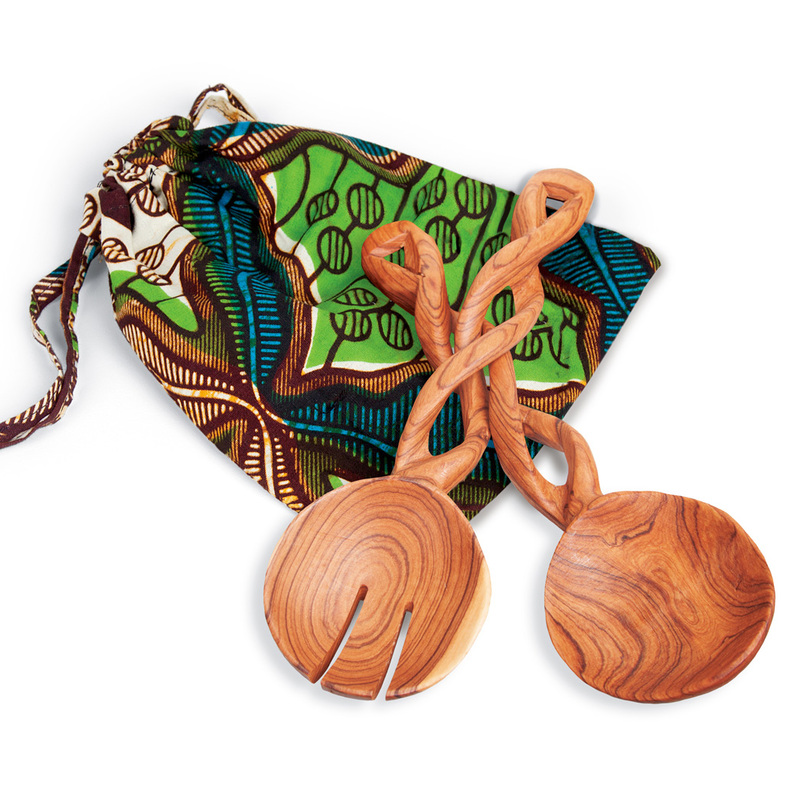 This type of gift takes many forms, it could be a basket, a unique wood carving, a picture frame, or a small keepsake. Invite your donors to a “Donor Appreciation Party” and share an event with them to recognize their support of your work. This is not an opportunity to ask for a donation, but instead simply a way to demonstrate gratitude for their continued partnership. What you’ll find is that the donors will naturally feel like giving to your organization coming out of a celebration like this. I recommend inviting a keynote speaker that will draw donors to your event. This can be as simple as an hors d’ouvres time for donors to meet your staff. Another effective use of this type of party is to invite a beneficiary who has seen different aspects of your program and benefitted from them. For example, if you have an organization that supports inner city kids, invite a college graduate who experienced the program as a youth to tell her story of how the program benefitted her and how she was able to graduate college because of your work. Take a photo “behind the scenes” of your work and send it to the donor. This spontaneous and unique way to display gratitude will demonstrate that you care about the relationship with the donor. There are several different apps – both for your phone and web apps – that you can use that will print and mail a custom post card for you. Usually the services are between $1 and $2 each postcard. You could send a variety of different photos to different donors, providing a unique experience. When the donor sees the work you’re doing with a real photo taken by a real person, it will demonstrate authenticity. Creating trust in the donor will help to continue deepening the relationship with the donor. The key to building a relationship and getting to a second gift or continuing to receive gifts from a donor is build an experience where they truly believe that they’re a part of your good work. The donor has a desire to help make an impact in a given area and she wants to know the donation will be used effectively, efficiently, and with impact. The best way to continue to build this relationship is through a heartfelt thank you.